New Delhi: Union Minister of Health and Family Welfare JP Nadda on Saturday informed that the Centre is closely monitoring the Kerala flood situation and providing all the necessary medicines, required for post-flood prevention of vector-borne diseases. 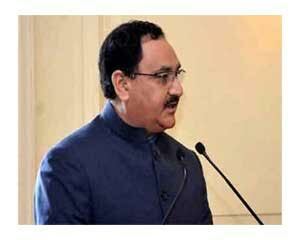 Nadda said that even other states of the country have come forward to support Kerala in conjunction with Central Government for supplies of medicines. “Government of India is coordinating with the state of Kerala and working towards providing them medicines needed for post-flood prevention of vector-borne diseases, acute diarrhoeal diseases, zoonotic diseases, snake bites and dog bites besides focusing on disinfection of drinking water sources,” he said. As Kerala is facing acute flooding, the Centre has launched massive rescue and relief operations in the southern state. Earlier on Saturday, Prime Minister Narendra Modi announced a relief fund of Rs. 500 crore to the state, in addition to the financial assistance of Rs 100 crore announced by Home Minister Rajnath Singh. The death toll, ever since the monsoon season began this year, has crossed 300.